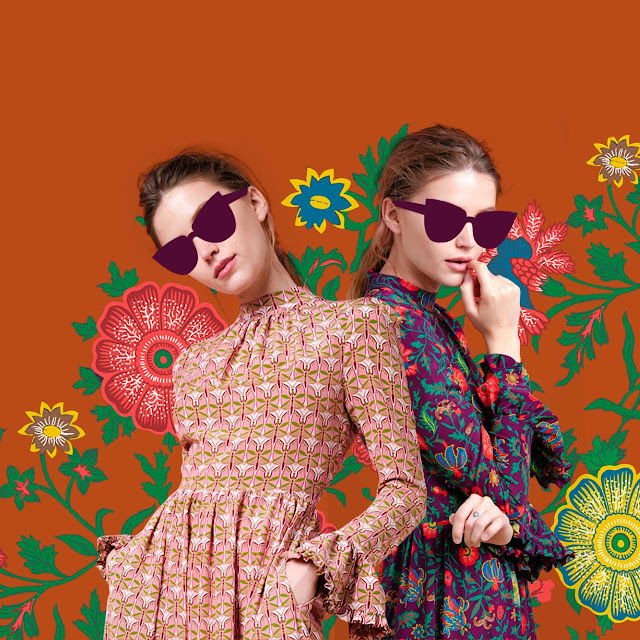 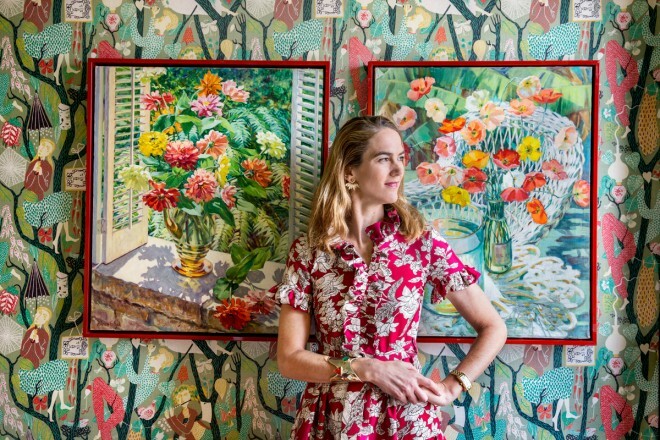 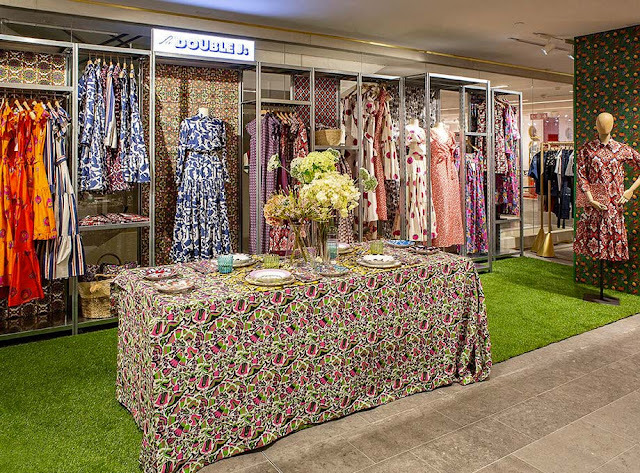 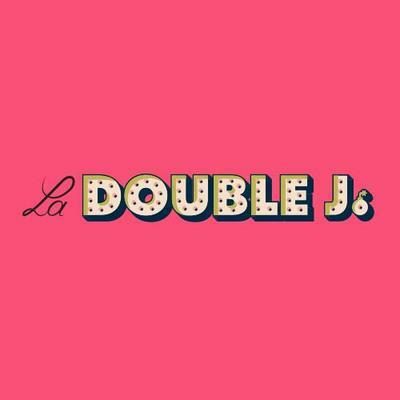 So La Doublej which started as an e-shop just for vintage clothes and jewelry, has turned into a clothing label for women, men and children, using the sumptuous and colorful silks printed with vintage motifs from the company Lake Como. 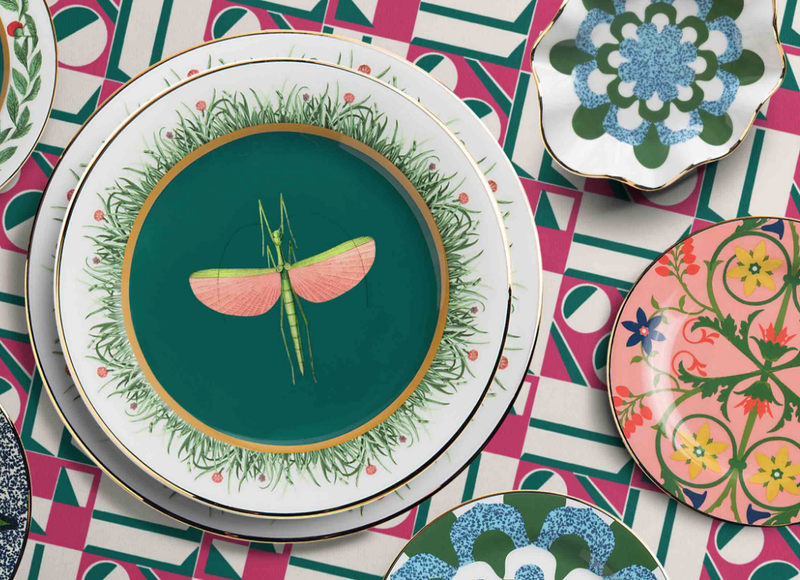 Arriva ora la collezione casa Double J Housewives, una linea di piatti, articoli per la tavola, mobili e accessori tutti con motivi vintage e colori vivaci destinati a essere mescolati e abbinati e stratificati con il loro tavolo modellato - lenzuola e tovaglioli nel migliore stile massimalista. 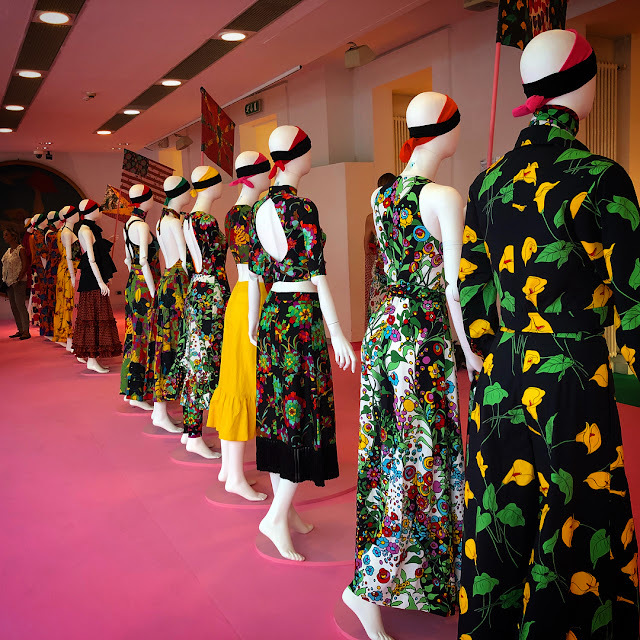 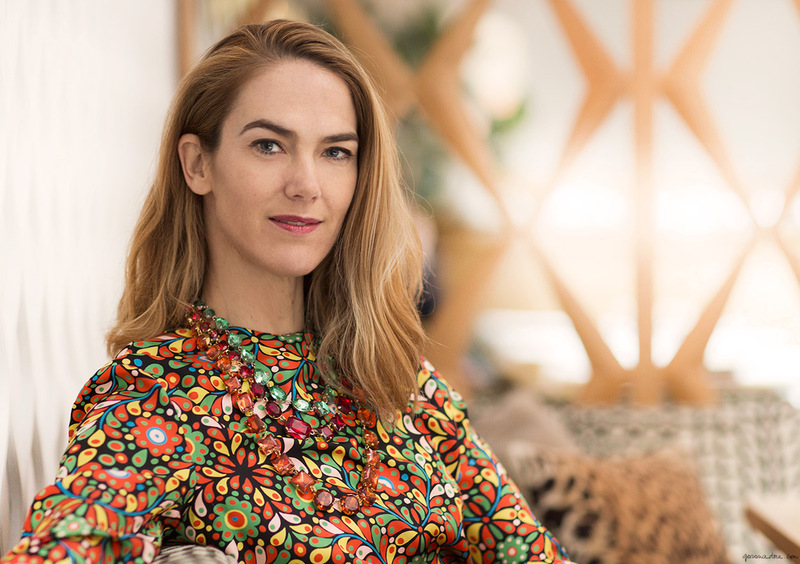 La Double J ha uno showroom a Milano e negozi pop-up alla Rinascente di Milano, da Bergdorf Goodman a NY, a Le Bon Marché a Parigi, da Liberty a Londra. 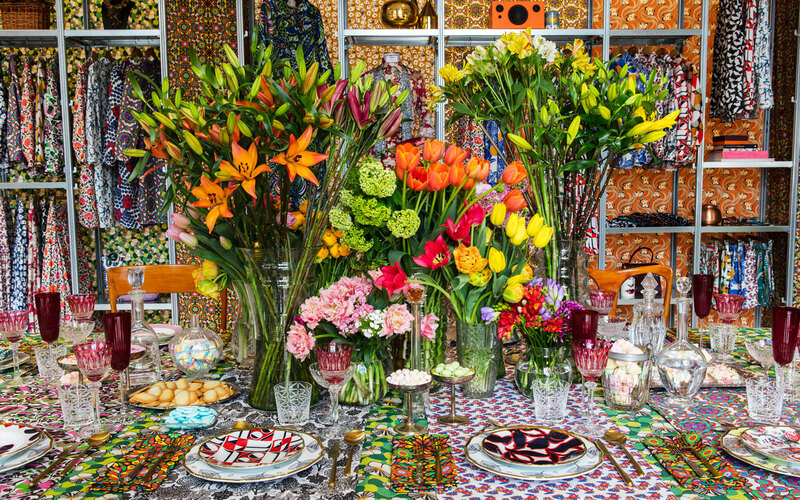 And the house collection Double J Housewives, a line of dishes, tableware, furniture and accessories, all with vintage motifs and bright colors, intended to be mixed and matched and layered with their patterned table - sheets and napkins in the best maximalist style. 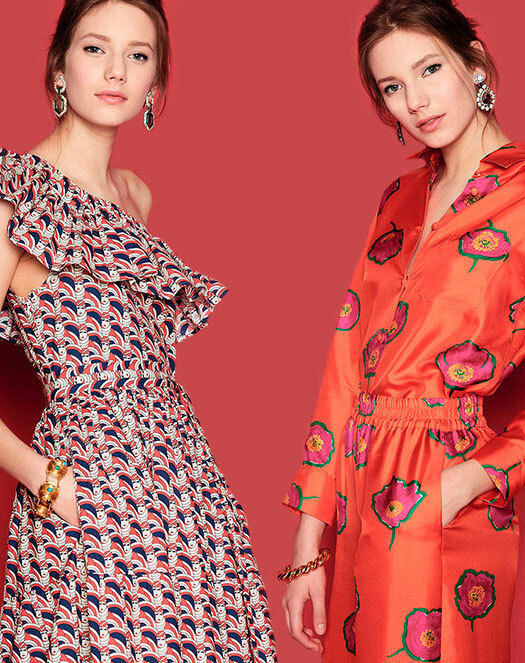 The Double J has a showroom in Milan and pop-up stores at the Rinascente in Milan, from Bergdorf Goodman to NY, in Paris at Le Bon March, in London from Liberty.